Washington residents face the risk of asbestos exposure at the state's shipyards, power generation, oil refineries, paper mills and steel mills. Washington is home to several large companies, including Microsoft, Boeing, Amazon and Starbucks. 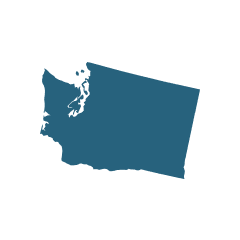 While these companies provide thousands of jobs throughout the state, Washington’s economy is also well known for shipbuilding, oil refining, power production, aluminum processing, timber and paper production. Because widespread use of asbestos was common within these types of manufacturing industries, many former workers were exposed to asbestos and therefore may be at risk of developing a related disease. The state of Washington ranks No. 9 in the nation for asbestos-related deaths. 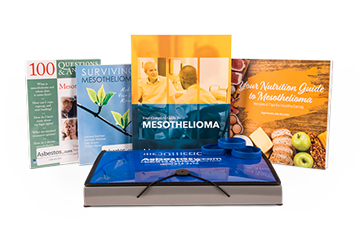 According to government data between 1999 and 2017, more than 1,500 people passed away from asbestosis or mesothelioma cancer. Occupational exposure is responsible for a large majority of these deaths, but naturally occurring asbestos also exists in Washington, and some sites have been scrutinized by the U.S. Environmental Protection Agency (EPA). The manufacturing processes in paper mills, aluminum plants, power plants and other industries require heat-resistant materials. Because asbestos has fireproofing characteristics and is a natural insulator, it was a perfect choice for manufacturing facilities to prevent dangerous fires. For example, paper mills often used asbestos-containing adhesives and drying felts during production, while power plants used asbestos around wires, pipes, generators and boilers. Contaminated insulation was especially common within the manufacturing industry. In addition to manufacturing facilities being a source for asbestos exposure, the EPA reported that as many as 33 different locations throughout Washington received approximately 981 shipments of asbestos-containing vermiculite from a Libby, Montana mine. Most of these shipments were sent to Seattle and Spokane. Between 1948 and 1993, about 63,611 tons of vermiculite was shipped to Washington. Vermiculite from Libby was used for insulation (among other uses) and was sold throughout the U.S. under the brand name Zonolite. Naturally occurring asbestos deposits have also been a concern for Washington residents. In mountainous areas of the northeast portion of the state, above Spokane in the Okanogan Highlands and central Cascades, chrysotile asbestos is present in serpentine rock deposits. Asbestos in serpentine rock was also discovered around Wenatchee and Ellensburg, but these sites were not mined. Washington’s asbestos production was limited to two sites: An amphibole deposit near Lyman in Skagit County and a mine near Alta Lake in Okanogan County. The narrow Lyman deposit was mined in 1891 over a distance of 75 feet. Records from Engineering and Mining Journal show the first shipment from the mine was approximately 75 tons. The mine is located near Hamilton across the Skagit River from Lyman. The mine in Okanogan County was located in an open pit about one mile from Alta Lake. Mining operations occurred during 1921 by the Asbestomine Company. The amphibole asbestos from this mine was woven together and incorporated into paint and plaster. The workers who helped process asbestos from these mines were heavily exposed to the toxic mineral. Another source for exposure in Washington can be found around Swift Creek and the Sumas River in Whatcom County. EPA officials have been monitoring the situation to determine the amount of asbestos-containing material that might be flowing into the two bodies of water as a result of Sumas Mountain landslide deposits. The U.S. Geological Society measured the suspended sediment in the Sumas River and discovered it contains up to 37 percent chrysotile asbestos, according to its 2016 report. Other measurements show the clear, flowing river water contains up to 19.5 million chrysotile asbestos fibers per liter. Asbestos-Talc Products of Washington Inc. operated a nearby quarry that may be the cause of the asbestos in the river. Airborne asbestos is a concern when water levels are low. Washington Elementary School in Berkeley was a source for exposure in 2010. Starting in January and continuing through May, teachers and students who attended classes in a specific classroom may have inhaled fibers through exposed flooring tiles. On June 25, after the school year was over and several complaints about potential exposure were made, the Occupational Safety and Health Administration officially closed down the classroom for abatement. The floor tiles were removed on July 9. The Hanford Nuclear Site was designated as a Superfund Site in 1988. Although radiation was the primary concern surrounding the Hanford-based plant, studies showed workers were also exposed to asbestos. A study from 2009 on former construction workers from the Hanford Site showed they were 11 times more likely than the general public to develop mesothelioma cancer. In a 2009 case involving a retired paper mill worker, a Seattle jury awarded a $10.2 million verdict to Henry Barabin and his wife after he was diagnosed with mesothelioma. Barabin worked for Crown Zellerbach Paper Mill, but the mill was not part of the lawsuit. Instead, two former manufacturers of asbestos-containing dryer fabrics used on paper machines were alleged to be negligent for failing to warn workers about the potential for asbestos exposure. The jury determined that Scapa Dryer Fabrics, Inc. and AstenJohnson Inc.’s products were defectively designed and did not include warning labels. The Air Program at the Department of Ecology is in charge of protecting the public from asbestos exposure in Washington. Before a renovation or demolition project involving asbestos can be carried out in the state, the local air authority should be contacted for regulatory information.